Before USD 290,00 IVA Inc. 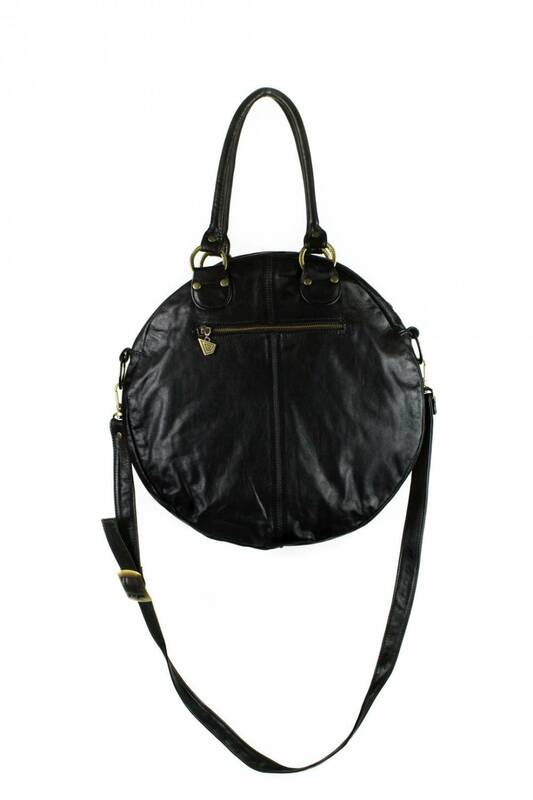 This is a unique, large and round, soft lined leather hand bag. 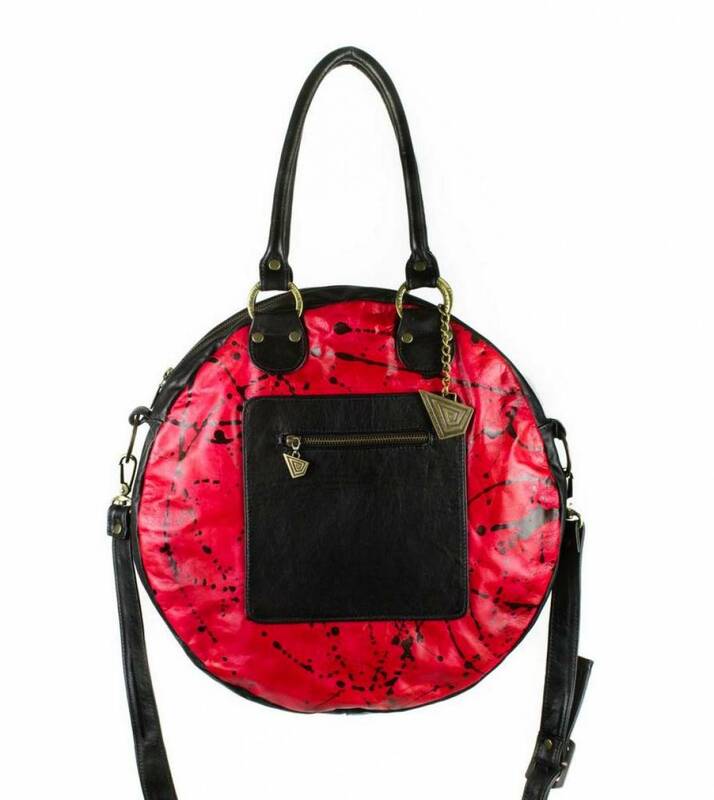 Spacious and stylish tote bag has the perfect combination to fashion and style, due to a large hand painted art detail in front, in contrast of red and black. 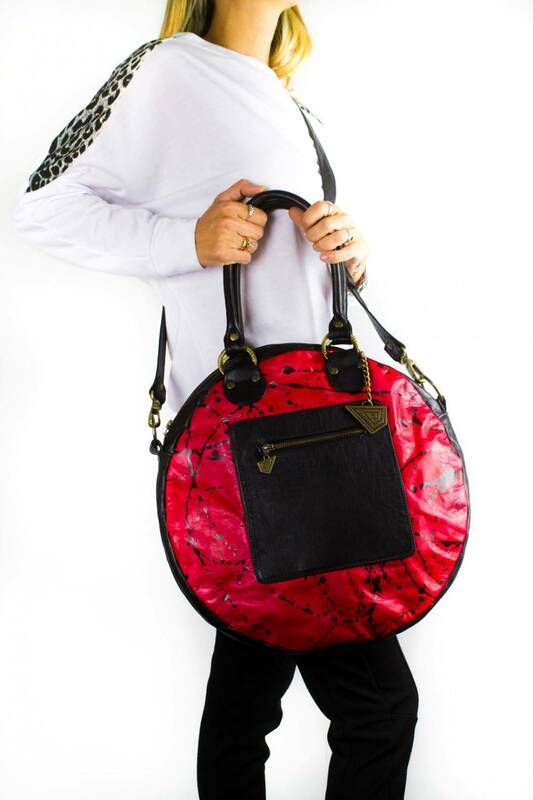 Wearable two ways, as a shoulder bag or cross-body bag. 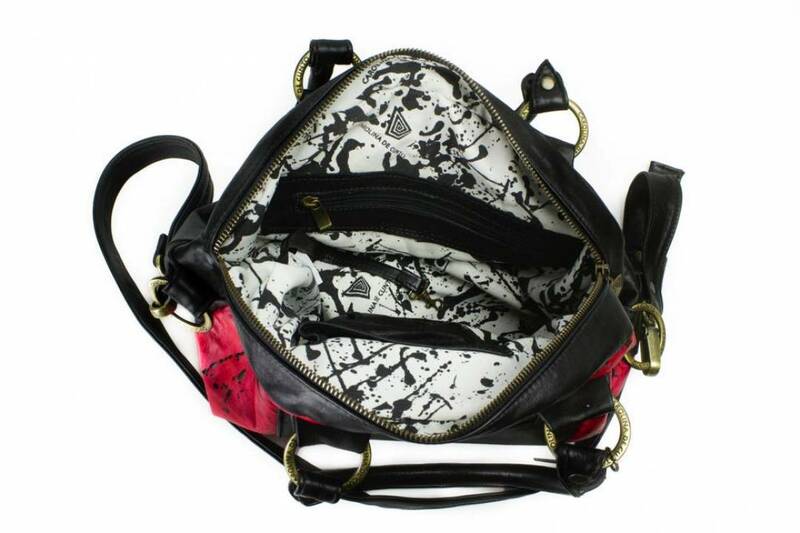 Fully lined with Carolina's design pattern fabric.This is 100 % finished top quality, hand made selected bovine leather. - Metal hardware in best available quality, YKK zippers. 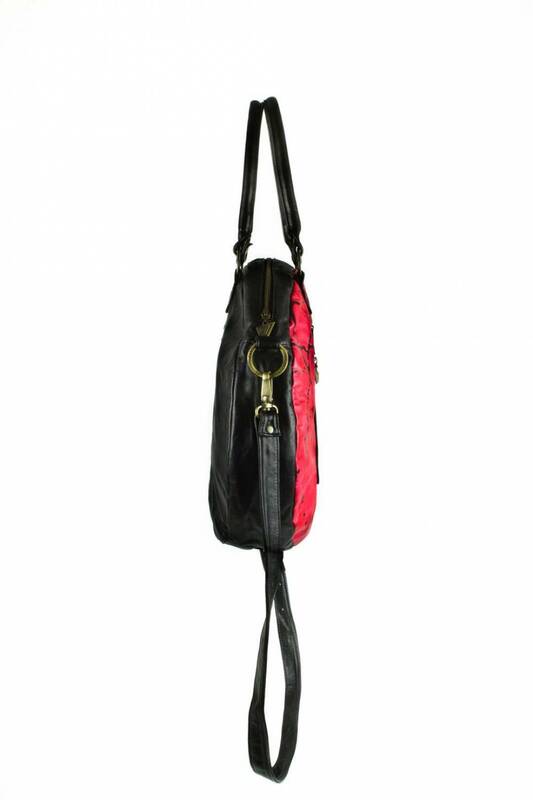 - Top zip closure, three zipper pockets, one inner pocket, two outer pocket. 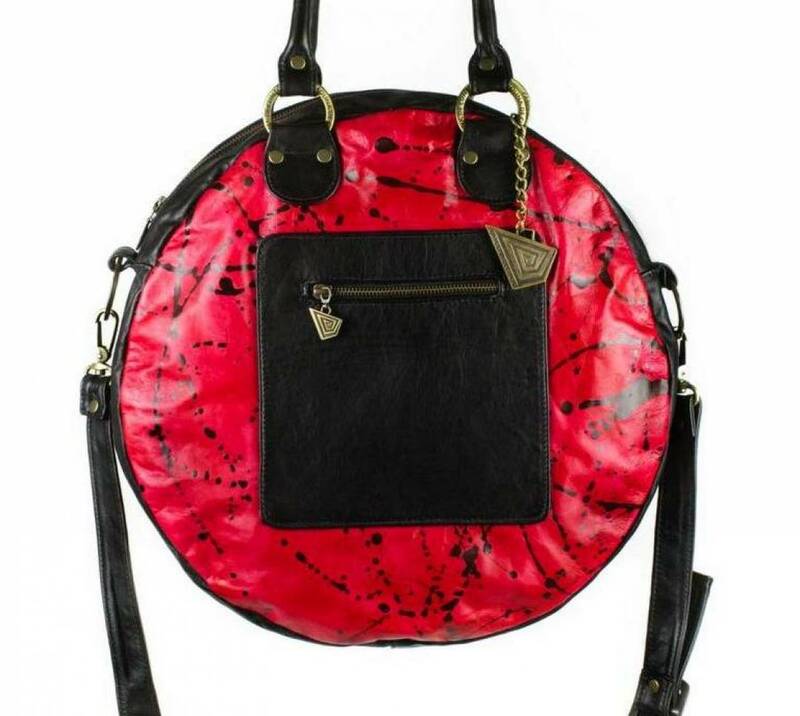 - Fixed top handle or long strap, drop 8 1/2" - 23,1/4"
- Available color: Large hand painted art design in front with red and black, black color handbag.